From a late episode of The Pallisers, a 26 part TV series available on DVD. Picture copyright of BBC via the International Movie Database. A Guilty Pleasure ….because I couldn’t watch just one! I took a hard fall in September and wasn’t able to sit at a desk for several weeks. Fortunately, I had purchased the first six episodes of the 1974 BBC series The Pallisers and finally got around to watching them when I was spending my days in the recliner. After the first six, I definitely wanted more! Thank heaven I eventually found the entire series on YouTube — all 26 glorious episodes. It may take you a few episodes to get addicted to the plot; meanwhile the excellent costumes will keep you intrigued — although I was hooked by an early episode in which two horrible old Victorian ladies explain that, after her forced marriage produces an heir to the dukedom, a married woman is permitted to follow her own inclinations…. The novels on which the series is based cover several decades of fictionalized English history. Anthony Trollope, who published them between 1864 and 1879, was as cynical about the workings of Parliament as he was about romance. The costumes, therefore, progress from crinolines to bustles, and (surprisingly) through several pregnancies. 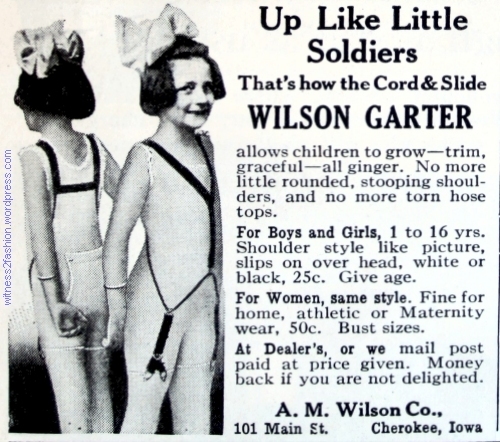 Yes, the ladies have zippers down their backs — They are wearing costumes, and costumes are made to be re-used as rentals. But they are lavish and character oriented, as well as befitting a duchess and her circle of acquaintances. (And Susan Hampshire has always worn period costumes — any period! — with complete naturalness.) Raymond Hughes is the only costume designer credited. It was a massive undertaking. Cover of the re-issued DVD series — 26 glorious episodes. Image copyright BBC and Acorn via Amazon. Will passionate, romantic Cora give up the man she loves to marry the stiff, unemotional heir to a Dukedom, as their families have arranged? If so, will she be faithful? Will her husband survive a career in politics and marriage to Cora with his (and her) honor intact? Will the next set of costumes be even more lavish than the last? But I regard those 20 hours in the recliner as time well spent. One quibble: not all the actresses were corseted properly. Nevertheless…. I loved it. This chic maternity pattern appeared in the Butterick Fashion News store flyer in June, 1956. Butterick 7795, a maternity pattern from June, 1956. Available in three versions. Pattern description for Butterick 7795, from 1956. The “Party time” version was a skirt and blouse with three-quarter sleeves and side slits; brocade material was recommended. A glamorous Asian-influenced brocade maternity outfit for parties. 1956. “Designed to conceal condition,” 1934. I remember the maternity fashions of my own childhood, the fifties, as being pretty — and making the wearer look pretty, too — distinct from the tight-waisted dresses of those days, but available in many versions, from “suitable for church” to “picnic in the back yard,” which included trousers instead of the narrow pencil skirts worn in public. (Trousers were strictly casual — not for school or PTA meetings.) This McCall pattern is from 1959. McCall maternity pattern 4936, dated 1959. A pencil skirt, tapered “Capri” pants, and Bermuda shorts were included. Back of pattern envelope, McCall 4936. From 1959. The “kangaroo” front of the pencil skirt and the waist of the trousers are adjustable. There is no nonsense about concealing pregnancy in these fifties’ outfits. Hooray! Top of a full page article about Maternity styles from Ladies’ Home Journal, Jan. 1907, top of page 60. Since Mother’s Day is approaching, this 1907 article about maternity fashions from the Ladies’ Home Journal seems appropriate. I accessed this article through ProQuest. The images were very faint and the text hard to read, so I have enhanced them. A surprise on the same page was this 1907 advertisement for a “book” of maternity skirts, from Beyer and Williams Co., which could be purchased “made to order.” Lane Bryant is usually thought of as creating this niche market. Maternity clothing should be “inconspicuous in color, dark blue and black being preferable.” “Albatross” fabric could be worsted or cotton. The inner lining or foundation was tightly fitted, but laced up on each side of the front, so it could expand as needed. The fashion fabric was pleated and it also expanded. How it was possible to maintain the fashionable S-curve silhouette is not discussed. “Maternity waist [i. e., bodice]” LHJ pattern No. 2914. At left, an illustration of the expandable waist of the ten-gored skirt, LHJ pattern 2915. 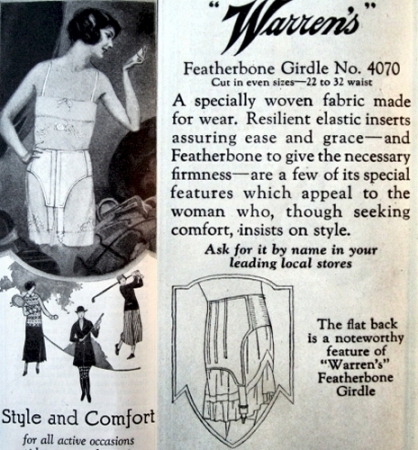 Although the pattern was sold in waist sizes from 24 to 30 inches, the skirt could expand as much as fourteen inches at the waist and more at the hip. Undergarments were also important; there is an emphasis on light-weight fabrics, since the usual layers of ruffled petticoats of 1907 could be heavy enough to cause a backache, even if the wearer was not pregnant. 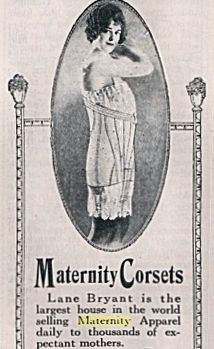 Maternity undergarments, Ladies’ Home Journal, January 1907, bottom of p. 60. Tucks running around the petticoat and drawers could be let out as the front hem was pulled up by the baby bump. Petticoat pattern 2913 description, LHJ, January 1907. LHJ pattern 2913 for maternity undergarments, designed by H. C. Routery. 1907. As an expanding abdomen lifted the skirt in front, the entire flounce could be lowered. From what I have seen, this problem was completely ignored by maternity dresses in the 1930’s. Description of maternity corset cover pattern, LHJ 2911. A maternity corset cover and maternity drawers (underpants), LHJ patterns 2911 and 2912 from 1907. Description of maternity drawers pattern 2912, LHJ, Jan. 1907, p. 60. There is the expectation that, after the baby is born, its mother will want to continue wearing these garments — they can be returned to her pre-baby size. 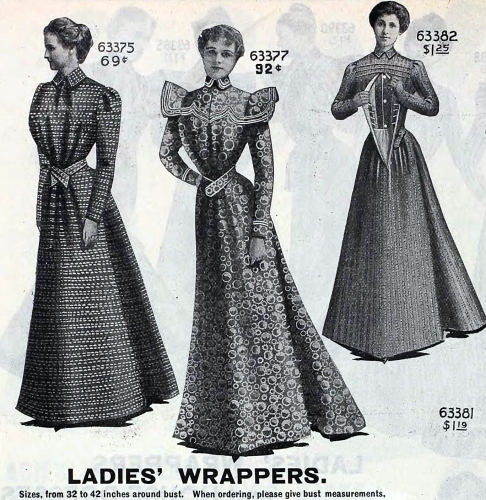 Of course, most women probably did resort to wearing a “wrapper” housedress during the later months. What do these outfits have in common? Evening clothes featured in Vogue, August 15, 1924. Illustration by Leslie Saalburg. Fashions featured in Vogue, February 1924, p. 74. That’s right. These are illustrations of maternity fashions which could be purchased or made to order. Text, top left, pg. 74; Vogue, Feb. 1924. Were the cape-backed dresses and coats supposed to balance a pregnant woman’s expanding front? “Draping, pleats or panels should not be placed where one is inclined to be largest, but always either above or below that point…. Brilliant colors should be avoided, except perhaps in small accessories…. It is always wise, both from the point of view of health and of appearance, to avoid high heels…. The individual figure should be studied before purchasing a costume. The tight, flat back, however, must always be avoided…. For one, the apron-front is not so appropriate as the cape-back, while for another, a blouse or panel-back is most becoming and the apron-front is essential.” — Vogue, February 1924. Vogue’s maternity articles, in February and August of 1924, mostly illustrated clothing that could be purchased from Lane Bryant or Mary Walls. 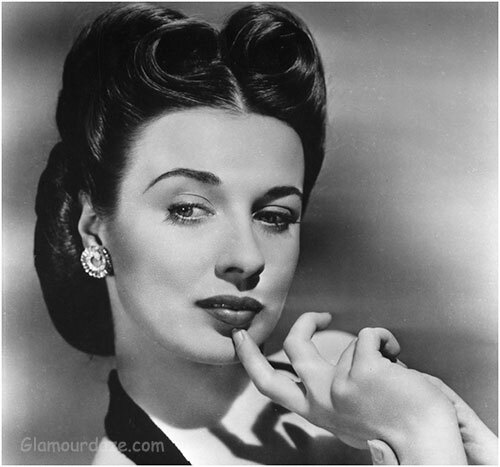 Mary Walls’ shop was located in the Waldorf-Astoria Hotel. She made authorized copies of French designer clothing. Maternity evening clothes from Lane Bryant, illustrated in Vogue, August 15, 1924. 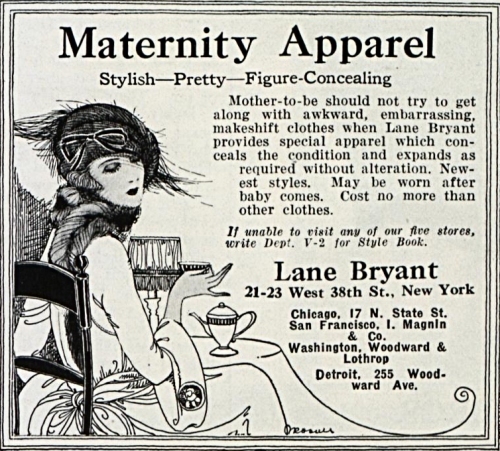 Text describing maternity evening clothes from Lane Bryant, Aug. 1924, Vogue. The cape at left, below, was available in coral red, beige, or French blue kasha [a kind of wool;] Vogue allowed the wearing of “brilliant color” in the case of the cape. Designs available from Mary Walls which could be adjusted for maternity wear [up to a point.] Vogue, Feb. 1924. Recommended for maternity wear, Vogue, Feb. 1924. Left, the “fichu-collar” seems designed to accentuate a baby bump, but Vogue recommended it as a distraction. 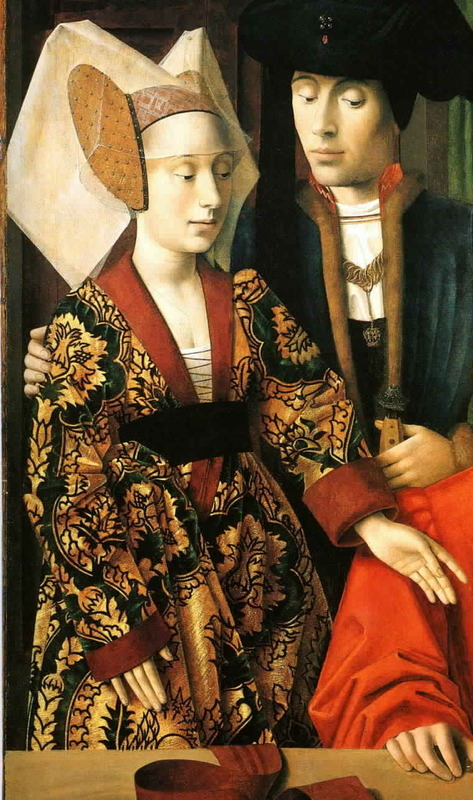 The “apron-front” was suggested for some, but not all, pregnant figures. A surplice line dress (like that at right) was often recommended as slenderizing. Maternity styles recommended in Vogue, Feb. 1924. A cape-back, lots of pleats, and neckline interest. Lane Bryant offered this maternity gown for evening in 1924. “Dinner dress” illustrated in Vogue, Feb. 1924, p. 75. “The models on this page are all adaptations of the mode, and while they are for maternity wear and are made invisibly adjustable at a low waist line by means of elastic and snaps, they are not necessarily maternity models; in other words, they are clothes that any one might choose for chic.” — Vogue, Feb. 1924. Vogue ran another article on maternity styles later in 1924. “Tea-gown or informal dinner-gown.” Details from a maternity fashion article in Vogue, August 1924. Details from “Maternity Wardrobe Meets the Mode,” Vogue, August. 1924, p. 56. The “frock” at left plus the coat at right is a “three-piece costume,” so the frock may be a two piece outfit. The fourth illustration from “Maternity Wardrobe Meets the Mode”, Vogue, August 1924, p. 56. There is as much fullness in the back as in the front. Capes, pleats, and restrained colors — black, brown, cocoa, and navy blue — are still the editors’ choice for expectant mothers in 1924. Again, the importance of choosing shoes for safety and comfort (and correct fit on swelling feet) was emphasized. In February, Vogue also proclaimed that “no woman should go without a corset at this time, even though she does not ordinarily wear one, for the support is absolutely necessary.” But I’ll leave the subject of maternity corsets for another day. “Smart Patterns and Becoming Maternity Gowns,” from Good Housekeeping, February 1930, p. 74. Good Housekeeping pattern F-7 was recommended in February 1930. Sizes 34 to 42. Not a maternity fashion. “A small bolero is always becoming and makes the higher waistline more bearable.” The band at the hips echoes the familiar line of the twenties, but it follows the line of the bolero instead of running horizontally. Good Housekeeping pattern F-6 from February 1930, p. 74. The natural waist is fitted, but not accented. For sizes 36 to 42. The tunic gives both a short and a longer hemline. Of course, looking tall and thin is a challenge for most women even when they are not pregnant. Many writers in the 1920’s assumed that a woman’s goal was to conceal her pregnancy as long as possible. “Maternity clothes have two objects: One is to make your condition unnoticeable, the other is to give you every physical advantage possible…. At this time you do not want to be conspicuous in any way.” — From The New Dressmaker, a Butterick book, c1921, p, 72. To this end, Vogue suggested, in June of 1930, that pregnant women simply buy chic dresses in a larger-than-usual size, and have the neck and shoulders altered to fit. Suggested maternity fashions, Vogue, June 1930. The one on the left was from Bonwit-Teller; the one on the right is a Vionnet tea-gown available from Jay Thorpe. I’ll devote a later post to Vogue‘s other “just buy a bigger size” 1930 maternity suggestions. Maternity gown suggestions, Good Housekeeping, Feb. 1930, p. 74. The article did not offer a pattern, or say that this suit and rather formal surplice dress could be purchased ready-made. It’s hard to imagine how these dresses could be expanded enough, although the assumption was often made that you would constantly open seams, as your shape changed, and remake the dress as needed from wide seam allowances. Lane Bryant ad for maternity corset, Ladies’ Home Journal, December 1917, p. 112. The Lane Bryant mail-order catalog passed $1 million in sales in 1917. (Oddly, that was an era that favored thick waists, very full skirts, and smock-type overblouses — one of the rare times when mainstream fashion was perfectly suited to accommodate pregnancy.) Lane Bryant promised that their dresses would “automatically adjust” to fit after the baby was born — making them a good investment. Chanel styles, 1916, from Fashion Through Fashion Plates by Doris Langley Moore. Teen-aged girls in California, circa 1918. Waists were thick (and high) and skirts were full. However, of the many decades when fashion was cruel to the chic pregnant woman, the early nineteen-thirties may hold the crown. These are maternity dresses. (Seriously.) The mores of the publishing industry meant that they could not be illustrated on a visibly pregnant body. The illustration shows three versions of Companion-Butterick maternity dress pattern 6948, from Woman’s Home Companion, August, 1936. To read more about it, see Who Would Ever Guess? A long, slender ideal silhouette plus soft, clinging fabrics, narrow hips, flat tummies, and (often) a decorative belt at the natural waist — combined with the idea that pregnancy was shameful and had to be concealed — must have made pregnant women feel frustrated in the thirties. Talk about an impossible ideal!